You’ve made up your mind: you want to attend a bootcamp. First things first – congrats on making the wonderful decision to accelerate your education and jumpstart to a great job. Soon you’ll be on the fast track to a rewarding and high-paying career. But getting into a bootcamp isn’t that easy, and you need to thoroughly prepare for the admissions process in order to get accepted. We’ve spoken to some of our accelerated learning program partners and got the lowdown: what do you need to do to get into, and prepare for, an immersive bootcamp? Let Skills Fund be your guide to acing the interviews and getting enrolled. 1. Written Application: Don’t think of it as a college essay. For most programs, they look for a demonstration of passion – for education, tech, coding, or other interests. Your application should be an answer to the question: "Why This Program?" If you’ve visited the bootcamp campus in person, be sure to touch base about the culture and environment. Highlight how you’d fit in, and what you would bring to the atmosphere. 2. Technical Interview: Most programs (such as Hackbright and Galvanize) give applicants a coding challenge to see their pre-existing skills. If you're applying to a program that has a skill prerequisite, here is where they'll determine if you have enough knowledge to be a fit for the program. 3. Video Interview: Some programs, especially online programs like Bloc and Thinkful, do their face-to-face meetings over Skype. 4. Final Interview: The final step is usually one last coding challenge. Some schools bring you into the classroom, and others will host this challenge online. Pro tip: Show your excitement and come with a few talking points and questions about what you hope to get from the program. 5. Final Interview: This is your time to shine! Be yourself, smile, and give yourself a pat on the back for getting this far. Each bootcamp has its own culture, so now’s a great time to gauge if you’re a good fit. As always, share your excitement and come with a few talking points about what you hope to get from the program. It’s highly likely your LinkedIn profile will be viewed during the application process. Add a picture of yourself, list out your skills, and add any applicable experience to your resume section. You’ll revisit and edit your LinkedIn profile while you’re looking for jobs after your bootcamp, so it’s great to get ahead of the game! If you’re applying to a program that requires previous coding skills, make sure that your GitHub projects are top-notch and your profile is cleaned up. Don’t forget to double-check for errors and include a README profile. There’s no use in applying for a program without knowing what the prerequisites are. You want to make sure that the program you’re interested in aligns with the skills that you have and want. Some programs are built to educate you from the ground up - so they accept all levels of experience. Other programs admit you only if you have a built-up background in certain languages. Ask the admissions team – they’re there to help. It’s good to go into the application process with a final goal in sight. What do you want to achieve by the end of the program? What do you want to become? This might change as you grow and learn what’s out there, and that’s OK. If you’re goal-oriented from the beginning, that will show through in your application. Face the facts: Your transformative education will come with a price tag. If you’re attending a full-time program, you’ll be missing out on a paycheck from work. If you’re relocating for your bootcamp, look at the costs associated with relocation (rent, movers, change in cost of living). Ask the school about scholarships available. You'll find bootcamps offering scholarships to underrepresented demographics in tech, such as women and veterans. Ask about tuition payment plans. Educate yourself on the financing options available and determine which one works for you. This is where Skills Fund comes in – our website will tell you your interest rate and monthly payments before applying. We're available to answer any questions you have, and we are committed to being transparent and student-oriented in everything that we do. Further reading: What's the Value of a Skills Fund Partnership? 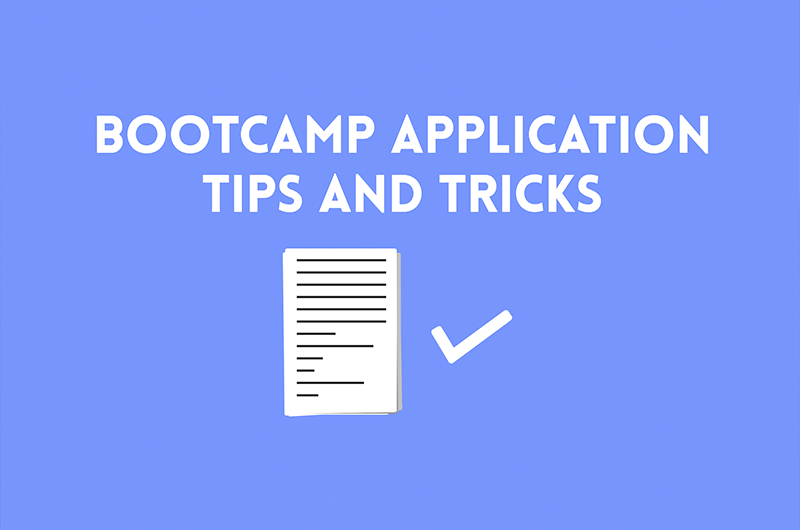 What else do you want to know about attending a bootcamp? Let us know in the comments below.